Repair cute little broken robots by rewiring their circuit boards and fixing their problems—one logic puzzle at a time. It’s hard out there for a robot, which is why Little Broken Robots’ robo-repair shop is in business. This charming puzzler from Dragon Army—the same developer that made Robots Love Ice Cream—asks you to repair cute little broken robots by rewiring their circuit boards and fixing their problems. 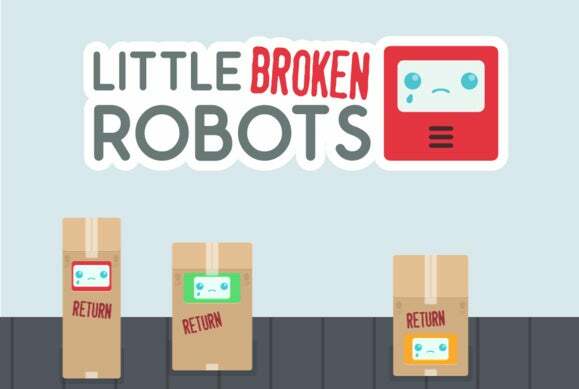 Little Broken Robots is a casual game, but it’s also highly addictive—easy to pick up, difficult to master, naturally. A balanced hint system keeps the game from becoming too frustrating, and even the most talented puzzle solvers will find a challenge in one of the game’s three gameplay modes. This game is free, so there’s really no reason not to try it out—but if you need more convincing, here’s why you should play it. Fix a robot and look—it’s adorable! It’s adorable: I originally downloaded Little Broken Robots because it was just so darn cute. In this game, you play as a robot repairperson working on an assembly line. Each robot comes to you with a “problem” (everything from the expected “low battery” to the not-so-expected “pirate”) that can only be solved with rewiring. The robots are adorable, dancing around on the assembly line with their problems (pirate robots wear buccaneer hats and brandish sabers). As you solve each puzzle, the robot’s facial expression goes from sad to happy, and even the microchip obstacles on the board are sporting grins when you finish. Little Broken Robots isn’t going to wow you in the graphics department, but this never-ending puzzle game is just cute enough to cheer you up and keep you interested in repairing robots. 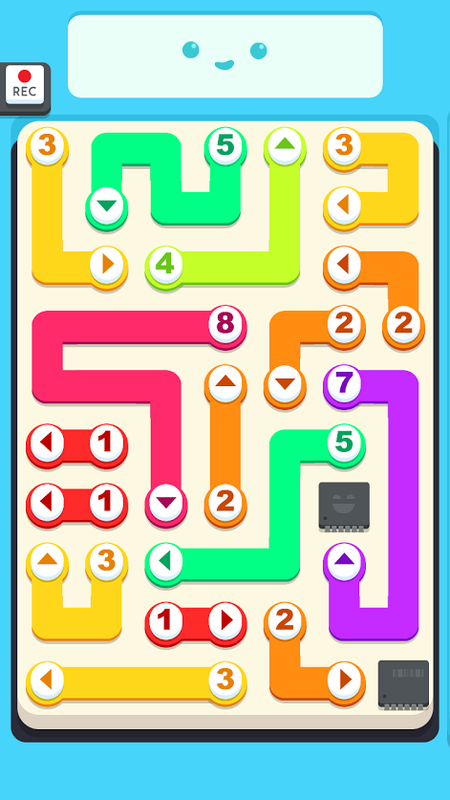 If the basic game is too easy for you, there are also Advanced and Time modes that add extra challenges. 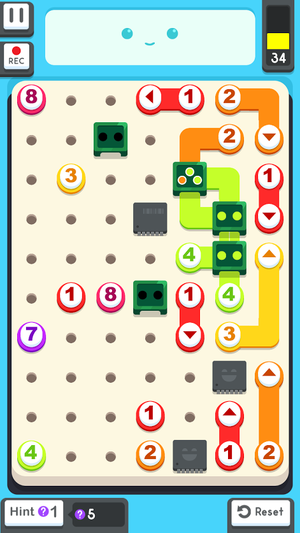 Simple, yet challenging: Little Broken Robots is a puzzle game that involves fitting wires on a circuit board. Each wire has a starting point with a number—this number indicates the number of spaces that wire must cover. Wires can move vertically and horizontally but not diagonally, and wires cannot overlap or cross without going through a junction. Each board features microchip obstacles that require you to get creative when it comes to wire organization. Boards have multiple solutions, but the game does have a hint system that will guide you through wire placement if you get stuck. There are three gameplay modes: Classic, Advanced, and Timed. In Classic mode, circuit boards have obstacles but no junctions. In Advanced mode, junctions come into play. Junctions are points where wires can overlap. Junctions have room for two or three overlaps (indicated by the number of dots on the junction), and in order to clear the board you must place wires so that all junction spots are filled. 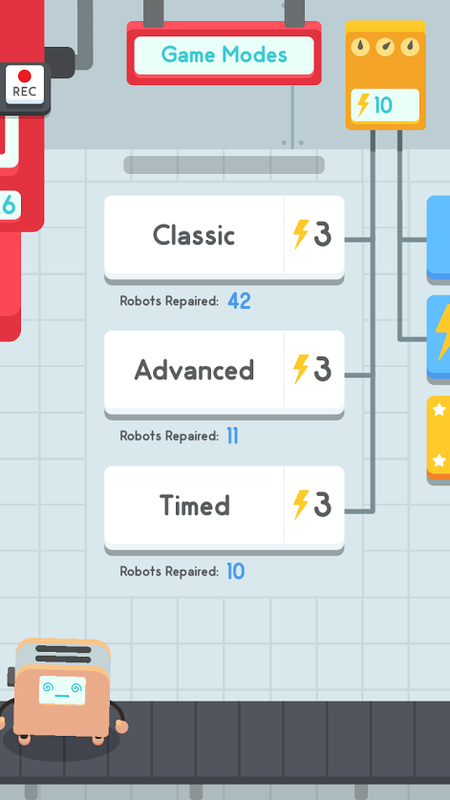 Timed mode is a race against the clock where each robot fixed adds seconds to your timer. Junctions make the game more challenging because wires can—and must—overlap. Freemium, but not in the annoying way: Lots of popular mobile games are freemium, which can get frustrating for people who simply want to play without being constantly hassled for money. Little Broken Robots does operate on a freemium model—each robot you repair depletes your energy, which refills over time or can be earned by watching video ads. But unlike most freemium games with an energy-style currency system, Little Broken Robots doesn’t ask you to constantly purchase finite packets of energy. 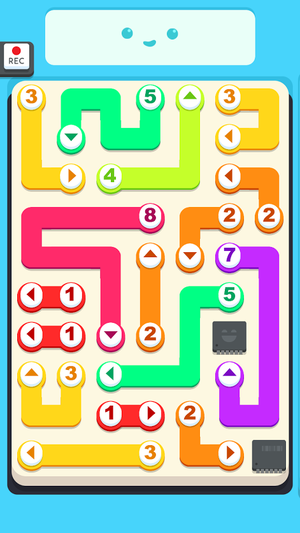 Instead, the game features a straightforward unlock: For $2, the game abolishes the energy system altogether and offers up unlimited puzzles. To keep things fair, the game’s hints work on a separate energy system that doesn’t automatically refill. You can get five hints every so often by watching a video ad, or you can purchase a pack of hints: $1 for 20, or $10 for 250.